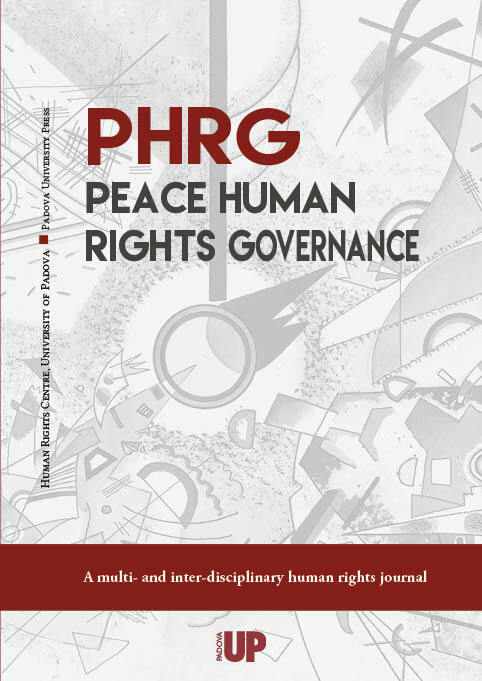 The third and last issue of 2018 of Peace Human Rights Governance (PHRG), has just been released. Submissions for volume 3 (2019) are welcome! PHRG editors and the publisher are in the process of finalising the third issue of 2018, which will be published in this website by the end of November. We are also working on the next volume, Vol. 3 (2019). The next deadline for submitting manuscripts of your original research works has been set on 15 December 2018. Watch the video presentation with Pietro de Perini, PHRG's managing editor, and discover more about this multi- and inter-disciplinary academic journal.